"My condolences for the loss of your loved one. May your..."
"Kelly and Kristen, My late husband Peter and your dad were..."
"Kristen, Thinking of you and your family. Prayer intentions..."
"Kelly, So sorry to hear of your dad's passing. My thoughts..."
"Kelly, I am so sorry for your loss. 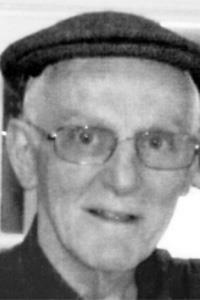 You and your family are..."
PORTLAND - James "Seamus" O. Curran, Jr., 72, died on Thursday, Sept. 6, 2018, after a brief illness. Seamus was born in Portland on April 16, 1946, a son of the late James O. and Helen L. (King) Curran, Sr. Seamus grew up in Portland, and attended St. Patrick's School and graduated from Cheverus High School in the Class of 1964. Seamus was a devout Catholic and was a communicant of St. Patrick's Church followed by St. Pius X Church. He served on St. Patrick's Parish Council and President of St. Patrick's School Board. Seamus loved to stay active as he was an avid runner and walker. He was an avid New England sports fan, always watching the Bruins, Patriots, and his beloved Red Sox. He enjoyed spending time with his family, especially his grandchildren and attending their sporting events. Seamus is survived by two daughters, Kelly Nora Curran and her significant other Linzell Shepard of Portland, Kristen "Bridget" Connelly and her husband Patrick of Westbrook; a brother, John Curran and his wife, Elaine of Scarborough; seven grandchildren, Gavin Seamus Curran, Colman Connelly, Gretchen Connelly, Ashley "Sassy Lassy" Connelly, Kaitlin Connelly, Madison Connelly, Mathew Connelly; and several nieces and a nephew.